Another two-for-one deal on Feature of the Day for GP 2018 R2. We are simplifying the default checkbook on batches and making the lookup easier with an option to not see inactive checkbooks. 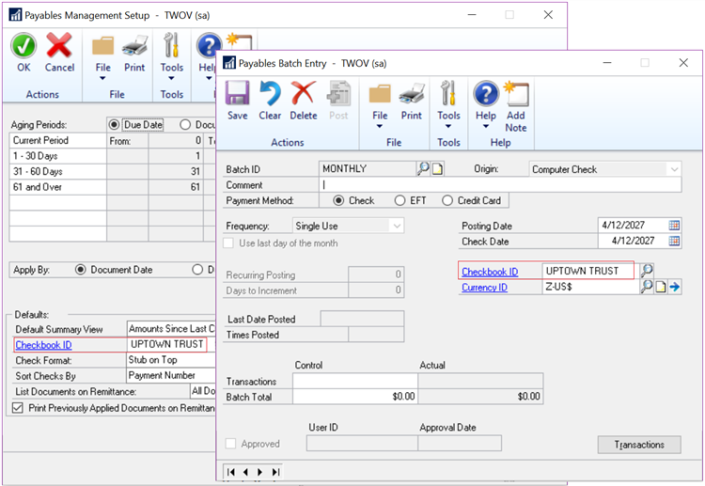 When creating a computer check batch the Default Checkbook ID from Payables Management Setup will now default in the Payables Batch Entry window for Computer Checks. The Checkbook ID also defaults in the Select Payments and Edit Payment Batch window. The second feature is a new option to hide inactive checkbooks in the lookup. 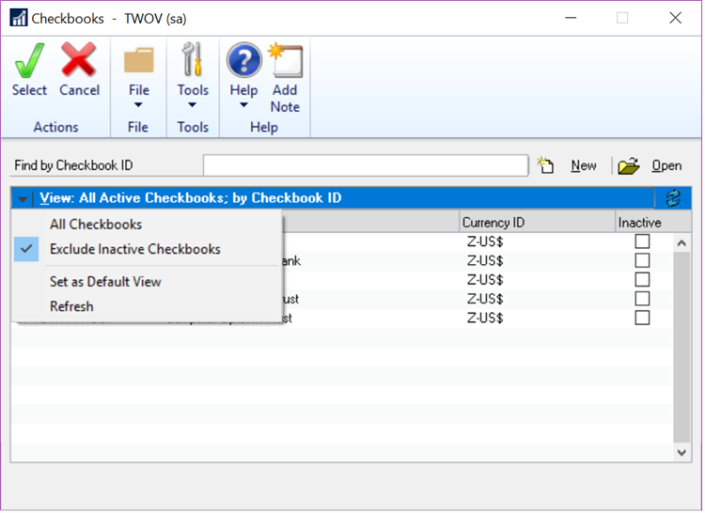 You can use the new option Exclude Inactive Checkbooks in the checkbook lookup and set it as your default lookup.